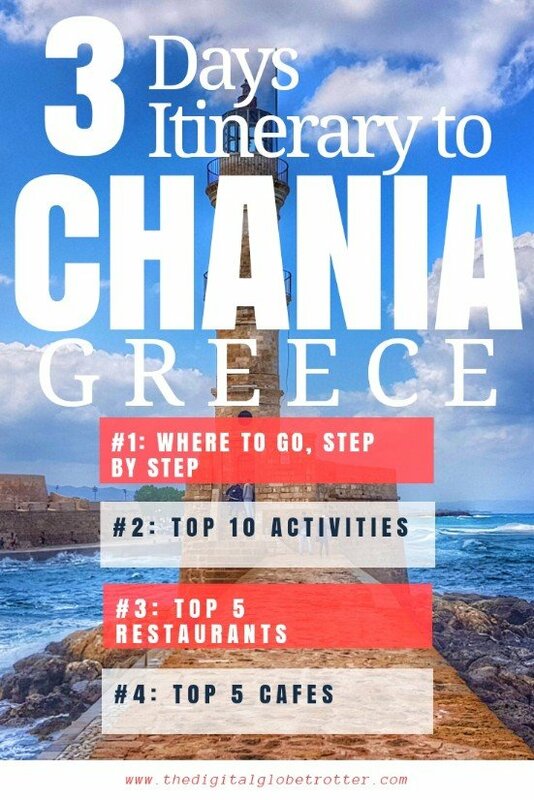 Ever since I came to Chania 15 years ago as a novice traveler, I’ve been bragging about it as my favorite city in Greece. So being here again after such a long time definitely brought excitement to rediscover it. Chania offers a different feeling of the typical islands of the Cyclades with their white and blue architecture. 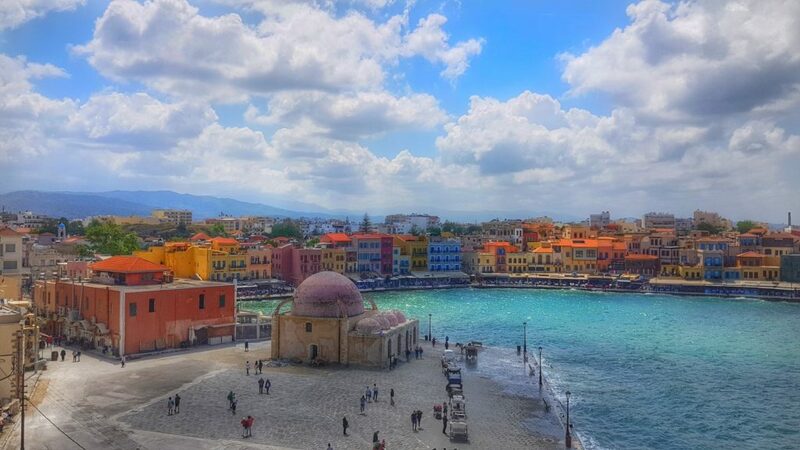 Chania has a Phoenician, Venetian and Ottoman background where many remnants are still visible today. But its history goes even further with traces that are harder to see, such as its Minoan roots that date over 3500 years. Some open-air Minoan Archaeological sites can be found in the center of the old town. 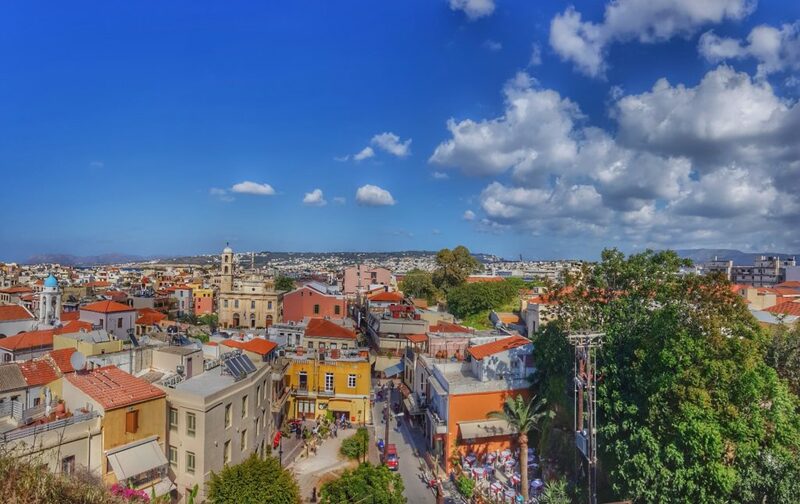 The most scenic part is concentrated around the Venetian port, which ads an interesting taste of Ottoman occupation, especially with the mosque of Kioustsouk Hasan situated right on the port on the eastern side. 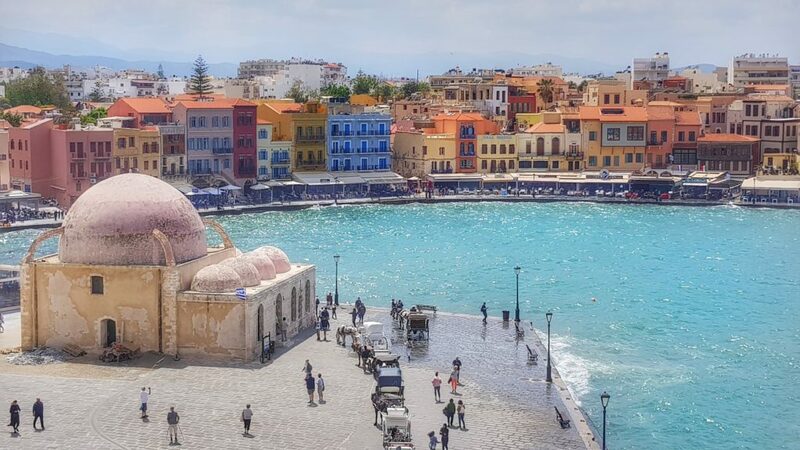 For me, the Venetian port makes it the most pittoresque port of all Greece and one of my favorite of Europe! 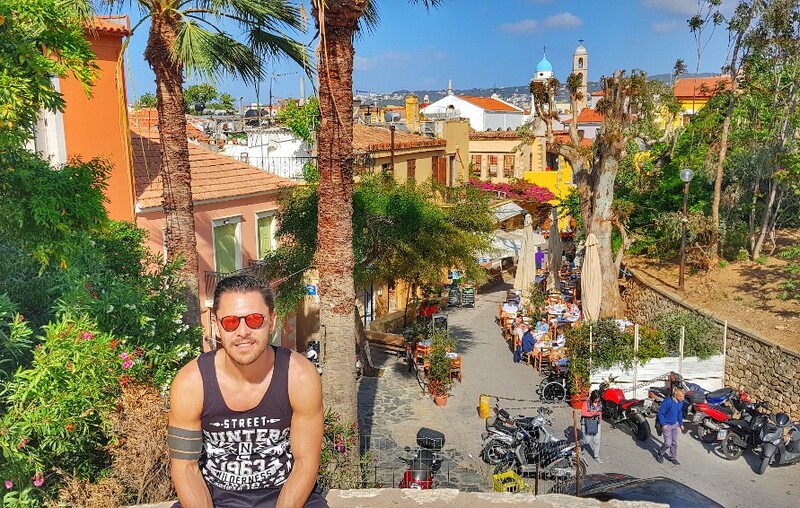 sitting on one of its terraces is the way to go to enjoy a sunny afternoon after walking around its narrow streets. Still many buildings of the Venetian era (13th century) have been restored as restaurants and even hotels. My first room I stayed in 15 years ago was actually a Venetian house of over 600 years old. Another nice attraction around the port is the Venetian Lighthouse, which is about 1.5 km walk along the sea coast. for the lazy ones, there is a barge which can be taken from the Venetian port. 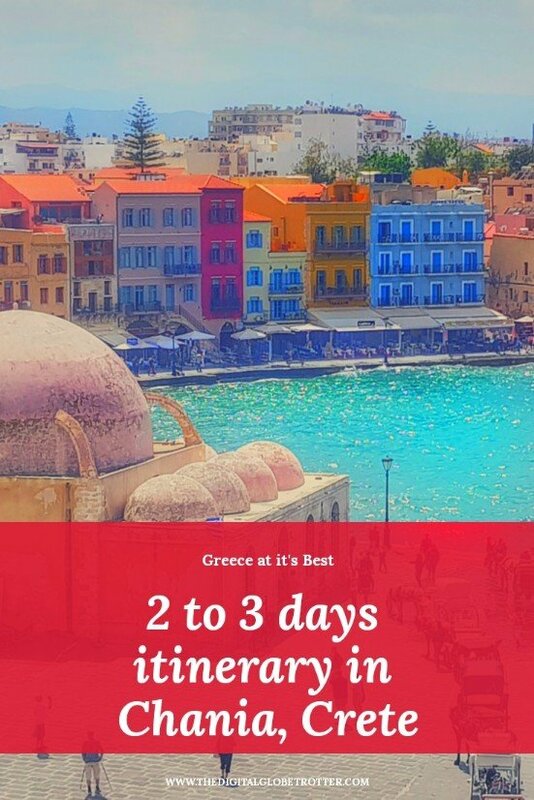 But walking around is definitely worth it, having incredible views on one side of the powerful ocean with waves crashing on the Wall (and even on you if you are unlucky) and views of the Venetian port on its left side, including the Marina. 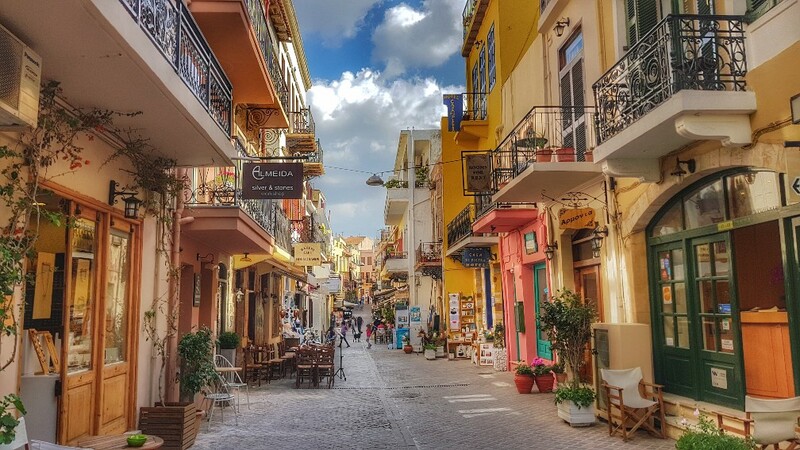 Chania definitely changed a lot in the last 15 years. Even though we were in April on this visit, I can see it has evolved into a touristic powerhouse and can imagine the chaos it must be in peak summertime. So even though it was a little cold in April, it is actually a great time to come and escape the crowds. 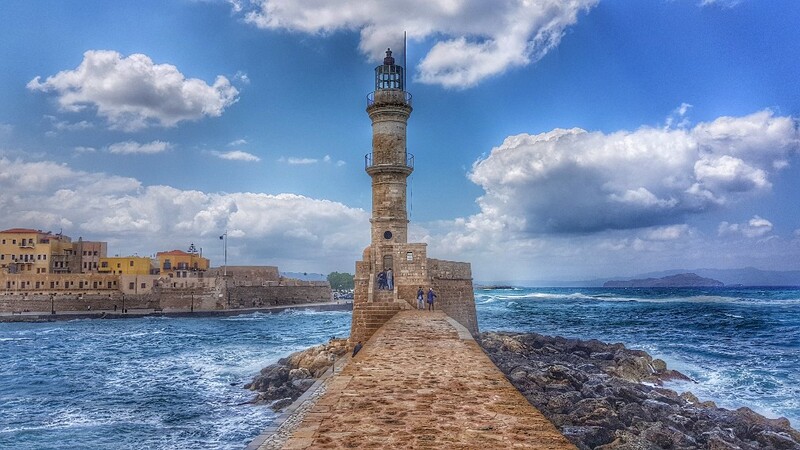 I still like Chania, I don’t think it still is my favorite in Greece but what I especially like about it is that it is big enough not to be considered only a touristic place, I could see myself settling here for a while. Start from the Plateia Venizelou Where you can walk around the Venetian port to enjoy its views and different angles. Get back to the mosque of Kioustsouk Hasan and continue east towards the Great Arsenal and all the way through the Marina to the Ancient & Traditional Maritime Museum. From there, continue on the Big wall towards the lighthouse, stopping on the way at the Fortaleza, where the views are great 360 degrees around. Back to the old town, before returning to the Plateia Venizelou, there is a parking lot on the hilltop just behind the mosque of Kioustsouk Hasan where I found the best views of the old town, definitely worth a visit. Take the stair from Michael Afentoulief street. It is a little hard to find and I didn’t see any other tourists up there, but once there the views will pay off. Get lunch in one of the Restaurant around the harbor in the old town, like The Well of Turk which is one of the best rated on foursquare. In the afternoon enjoy the narrow streets of the old town, going up the Siavo Bastion (even if it’s closed you can jump the fence) or go up through some stairs hidden on the south side. 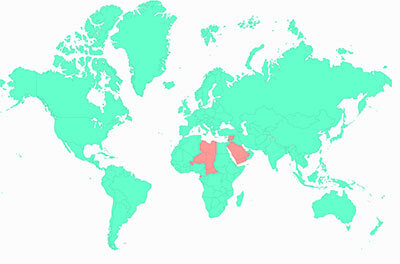 The second day could be used to visit its museums and archeological sites. There is an open-air site situated 2 streets away from the Venetian harbor, called Ancient Kydonia. They are ruins of old Minoan Xhania dating over 3000 years. 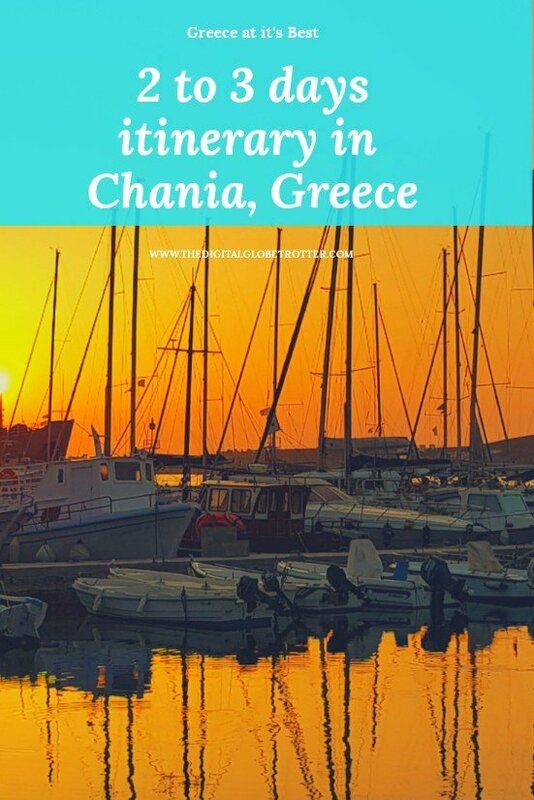 You can visit one or two of the Naval Museum, the Archaeological Museum, Byzantine and Post Byzantine Collection of Hania or even the Cretan House Folklore Museum. A third day is great to go hiking in the mountains south of Chania in the Akrotiri Peninsula where lies the Samaria gorge (Season only), or from another starting point lower in altitude, all the way to the south of the island. Alternatively, go straight to the southern beaches and relax sipping mojitos all day. 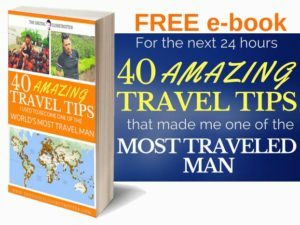 Tagged backpacker, backpackerlife, backpackingdream, budgettraveller, chania, crete, digitallifestyle, digitalnomad, greece, hania, solotravel, traveladdict, Travelling, traveltips, wanderlust, wonderoftheworld, worldphotography, xania.